Facial Cosmetic Surgeries at The Plastic Surgery Group, P.C. Facelift surgery, also known as rhytidectomy, aims to improve signs of aging in the face and neck areas, and revitalize your appearance. As we age, our skin loses elasticity, which often causes sagging, wrinkles, loss of facial fat, thinning of the skin, and sun damage. A facelift is a restorative procedure, which means that it rejuvenates and improves your appearance without ultimately changing it completely, or stopping the aging process. In many ways, a facelift is like a mini makeover, where the patient will noticeably have a more defined facial appearance after the procedure, while retaining a healthy and natural look. During a facelift, the surgeon surgically lifts and removes any underlying skin, or excess sagging tissue on your face and neck, to restore your appearance to its earlier, more youthful form. During the procedure, incisions are made in discreet places, such as behind the hairline and in the natural folds of the face and ears. After surgery, scars from the incisions will fade, and become nearly invisible over time. 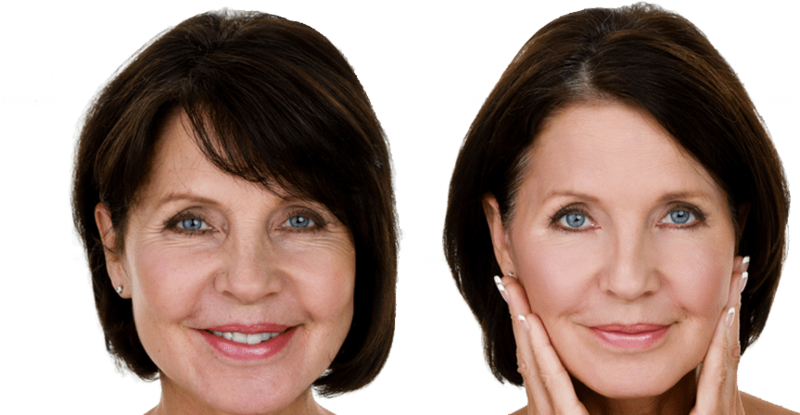 Facelift surgery may be performed by itself, or in combination with other rejuvenation procedures. By removing fat and tightening skin and muscles, a facelift will give your face a firmer, fresher appearance, and is said to make some people look 10-15 years younger. Our nose is part of the respiratory system, which helps us breathe and smell, but is responsible for much more than that. Besides giving us oxygen, our nose contributes to other important functions of our body, such as hearing and tasting. Therefore, if our nose doesn’t function properly, our voice, hearing, smell, along with other functions, can become compromised. Nose shaping surgery, also known as Rhinoplasty, is the most common of all plastic surgery procedures. This procedure reshapes and enhances the appearance (proportions) of your nose, to improve facial symmetry in relation to your other facial features. During the procedure, the plastic surgeon modifies both the bones (upper part) and the cartilage (lower part) of the nose. Reshaping during a rhinoplasty is generally done through incisions inside the nose or at the base of the nose, so that there are no visible scars. The surgeon’s goal when performing a rhinoplasty is not only for desired aesthetic purposes. A nose job is also done to correct impaired breathing caused by structural defects in the nose (deviated septum), to create a narrower nose, a higher bridge, a more refined tip, removal of a bump, change the angle between the nose and the mouth, correcting an injury, or a birth defect. A rhinoplasty can be performed in about two to three hours depending on the patient’s case. Eyelid surgery, also known as blepharoplasty, can rejuvenate puffy, sagging, or tired-looking eyes by removing excess fat, skin, and muscle from the upper and lower eyelids. Eyelid surgery will result in a brighter appearance to the eyes and face. Even though this is typically a cosmetic procedure, this procedure can also improve the patient’s vision by lifting their droopy eyelids out of their field of vision. During eyelid surgery, incisions are made along the eyelids in hidden places, and in some cases within the eyelids, in order to reduce and produce no visible scars. Blepharoplasty may be performed by itself or in combination with other rejuvenation procedures. Forehead lift surgery, also known as a browlift, aims to revitalize drooping or lines on the forehead, which can aesthetically help a person look more relaxed. Using either traditional or minimally-invasive surgery, the muscles above the eyes are altered endoscopically, to smooth lines and raise the eyebrows for a more youthful appearance. The procedure is often combined with other operations such as blepharoplasty (eyelid surgery) and a facelift, to improve the look of the eyes and other areas of the face. During forehead lift surgery, the newest approach is endoscopic surgery. Several small incisions are placed just behind the hairline and a device called an endoscope is used to assist in the surgery. After this procedure, results have shown to produce minimal scarring, allowing people to have a faster recovery. After trauma, injury, or illness, the face and its features can be affected in both appearance and function. Our board-certified plastic surgeons can help rebuild and reconstruct a patient’s facial structures, and reshape it to restore full functionality, most importantly having the patient be happy with their outside appearance.